It’s great to learn new things from the Internet Gurus like Simon Leung, Jo Han Mok, Fabian Lim, Gobala Krishnan, Tan Yang Po(property) and Terence Tan. Fabian was one of the main speaker and was promoting his 5 day Search Engine Optimization(SEO) Certification “Hand On” Workshop which will be held next month in Singapore and February 2012 in Malaysia. Fabian Lim is currently CEO, Asia Internet Academy Pte Ltd, Asia’s largest internet training academy and a full-time internet marketer since 2003. He is also Director, Click Media Pte Ltd, specialist Search Engine Marketing & Social Media Marketing firm with offices in Singapore, Malaysia, Indonesia and USA. According to his blog, he claimed to have trained over 2,000 graduates in his popular Internet Marketing Bootcamp program in Singapore, Malaysia, Indonesia and Japan. Previously a manager with global management consultancy, Deloitte, Fabian turned full-time online entrepreneur in 2003. Fabian’s expertise include Pay-Per-Click Advertising, Search Engine Optimization, Web Analytics, Online Campaign Management and Affiliate Marketing Strategy. His online marketing clients include multi-national companies and public sector organizations such as IE Singapore, Singapore Polytechnic, Sennheiser, SISTIC, Green Dot Internet Services, Management Development Institute of Singapore, GP Batteries and many others . Fabian is a Qualified Google Advertising Professional and the only CERTIFIED SEARCH ENGINE MARKETING TRAINER authorized by Search Engine Workshops (USA) to conduct Search Engine Optimisation Certification training in Singapore, Malaysia, Indonesia, Philippines & Hong Kong. In 2010, Fabian launched SharesXPert shares trading system, a breakthrough and proven End-of-Day (EOD) high probability shares trading system that requires zero technical or fundamental analysis using Trend Trading concept! 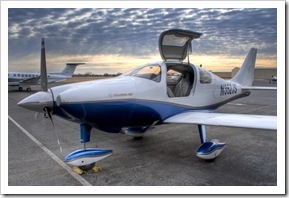 He reward himself with a private airplane, Columbia 350 light aircraft costing $S500,000 as a birthday gift. Apart of private plane, he also owned $2.6 Million condo and BMW 7 Series worth $340,000 in Singapore. He was a self-made millionaire Internet entrepreneur and a living proof what Internet Marketing could possibly provide! Watch all the interview by Razor TV below as Fabian gave some valuable tips on entrepreneurship and sharing his success stories. RazorTV follows internet entrepreneur Fabian Lim as he flew us from Seletar to Senai on his private plane. With the private airplane, Columbia 350, he able to have lunch in Melaka & Penang in less than a day. This is a truly a great lifestyle what Internet able to provide. Millionaire entrepreneur Fabian Lim’s dream came true last December when he acquired his own private airplane, a Columbia 350, from the U.S. for $500,000. RazorTV hopped on board with him as he flew from Seletar Airport to Senai Airport. It’s not an easy route to becoming a millionaire, but entrepreneur Fabian Lim says it is closer to most people than they think. It just means more focus and desire to reach that goal. How does a millionaire celebrate his birthday? Fabian Lim shows how he does it without blowing a million bucks. Time Between Overhauls (TBO) 2000 hrs. Wing Area 141.2 sq. ft.
Wing Loading 24 lbs./sq. ft.
*Includes climb and 45 minute reserve. Ground Run (No wind at 3400 lbs. gw) 1550 ft. This entry was posted on Sunday, October 30th, 2011 at 11:32 am	and is filed under Make Money. You can follow any responses to this entry through the RSS 2.0 feed. Both comments and pings are currently closed.